Cantor Zim is a graduate of YeshivahUniversity H.S., The Jewish Theological Seminary Cantorial Institute, Brooklyn College (BA), and New York University (MA), and is a recipient of his DOCTORATE OF MUSIC, HONORIS, CAUSA, from the JEWISH THEOLOGICAL SEMINARY, as well as the MAX WOHLBERG AWARD FOR COMPOSITION from the CANTOR’S ASSEMBLY. Cantor Zim studied voice with Kurt Baum as well as twenty operatic roles with Julius Rudel and other great Operatic Coaches of the NY Metropolitan Opera Company and performed all of these roles on stage. To develop his Cantorial Art/Technique and to Fine-Tune his Artistry of Jewish song, he studied privately with CANTOR MOSHE KOUSSEVITSKY and SHALOM SECUNDA. Cantor Zim was offered contracts with the Vienna State Opera Theatre and the Israeli Opera Company, however, after contemplating what was most important to him, he decided to devote his life to the furtherance of Jewish Music which had been his passionate mission. At this stage in his career Cantor Zim is a world renowned Master Cantor, Composer, Songwriter, Recording Artist, Concert Performer, Educator/Professor and Lecturer. 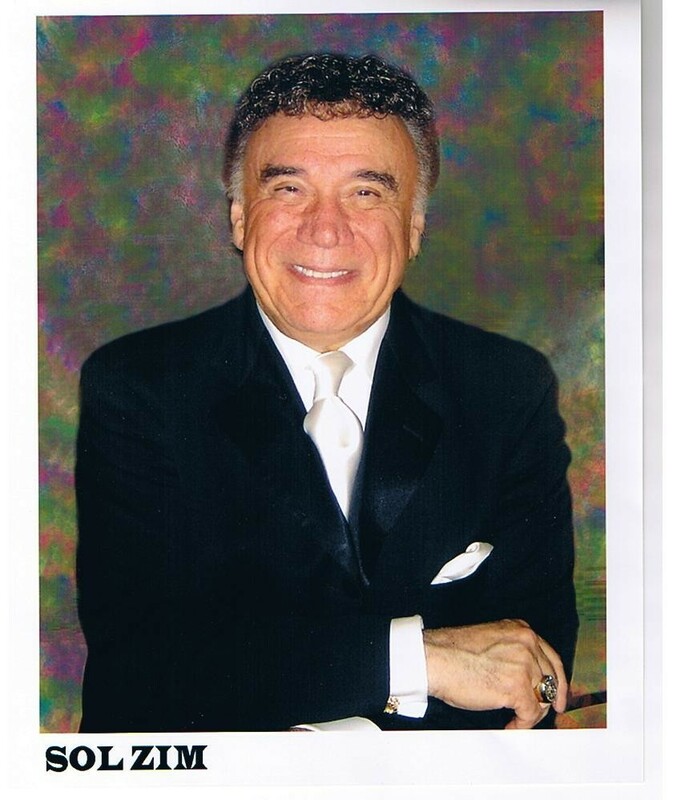 As an outgrowth of his service to the Hollis Hills Jewish Center and in recognition of his worldwide success and the impact it has had on his community, Cantor Zim was awarded a lifetime contract, as Cantor, at the Center. He now continues in that role for the newly created Hollis Hills Bayside Jewish Center. In addition to Cantor Zim’s passion for writing Jewish Music, he is also dedicated to educating and teaching. Cantor Zim is Professor of Jewish Music of the Cantorial School at the ‘Academy For Jewish Religion’ in New York City. He also lectures extensively, nationwide for other Cantorial Schools and is a frequent “Scholar/Composer in Residence” for many Jewish organizations and Synagogues where he creates a lasting spark through his energy and his philosophies on Jewish Musical culture. Cantor Zim has been celebrated for his highly distinctive compositions and has written hundreds of popular & recognizable melodies and arrangements (i.e. L’DOR VADOR, ADON OLAM, KAD’SHENU, SIM SHALOM, AVINU SHEBASHAMAYIM, etc. ), which are sung in Congregations the world over. His 25 Recordings feature Yiddish, Israeli, Chassidic, Broadway, Opera and Pop Music. Most of his recordings contain original material and they include music for all ages. His 13 Books of Original Music are used throughout the world by Cantors, Rabbis and Educators and his”ANTHOLOGIES” (for Shabbat, Rosh Hashannah, Yom Kippur/S’lichot) have become leading guides and textbooks for Cantorial study. Sol’s “AVINU SHEBASHAMAYIM” is sung in synagogues and concerts throughout the world and has virtually become a Second National Anthem in the State of Israel.